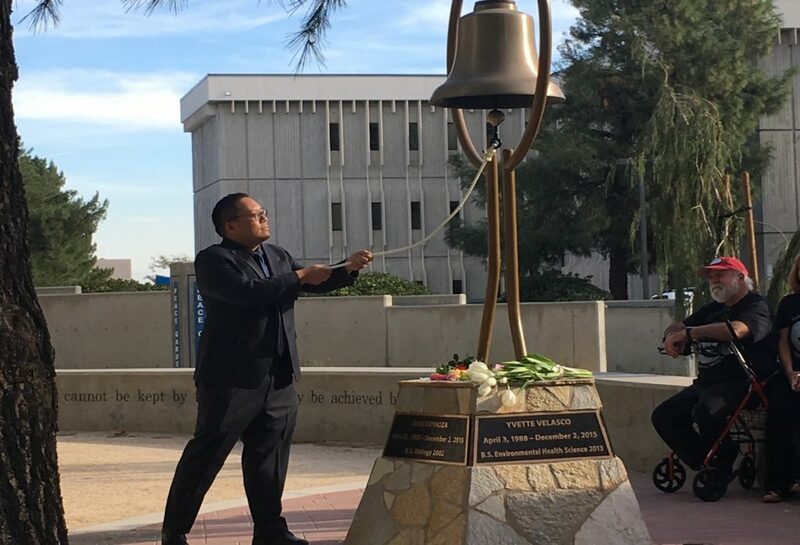 Michael Nguyen rang the bell outside of the Chemical Sciences building in the Peace Garden. 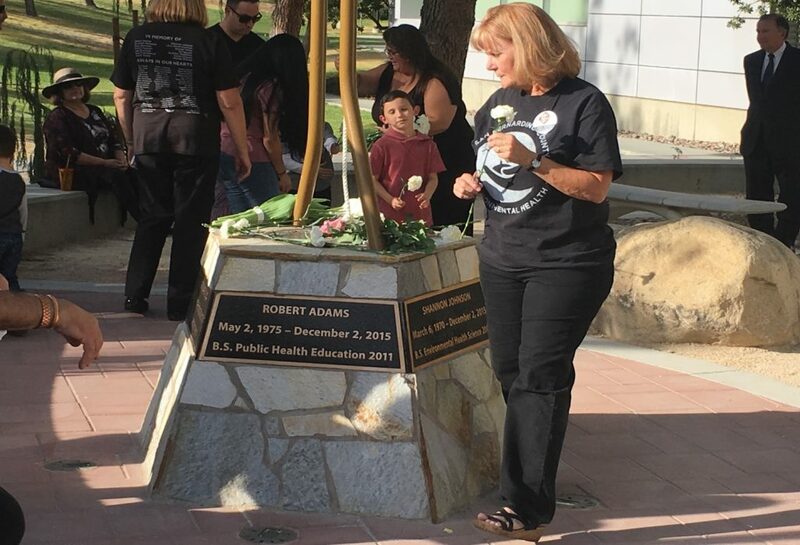 The bell is to be rang once a year on Dec. 2 in honor of the anniversary of the 2015 mass shooting in San Bernardino. Former CSUSB student, Syed Rizwan Farook, shot and killed 14 people and severely injured 22 others. An attempted bombing at the Inland Regional Center was also on the agenda of the 2010 CSUSB Alumni. 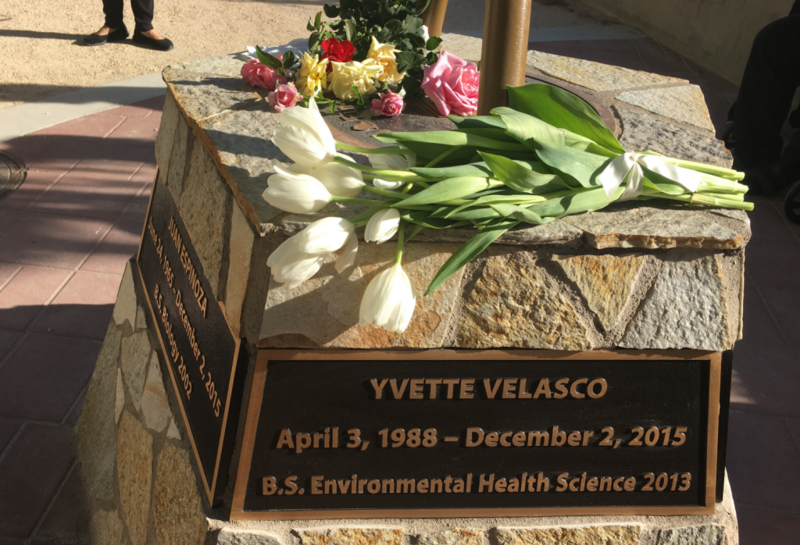 The CSUSB community was greatly impacted by this tragic event. The gunman had gone to this school, and five victims were associated with the CSUSB family. “Everybody thinks it’s not going to happen to them,” said Reyes. “And it was such a random day, a random time, you would never think it would happen so close to home,” said Michaela Reyes, a student that was in class during the shooting in 2015. 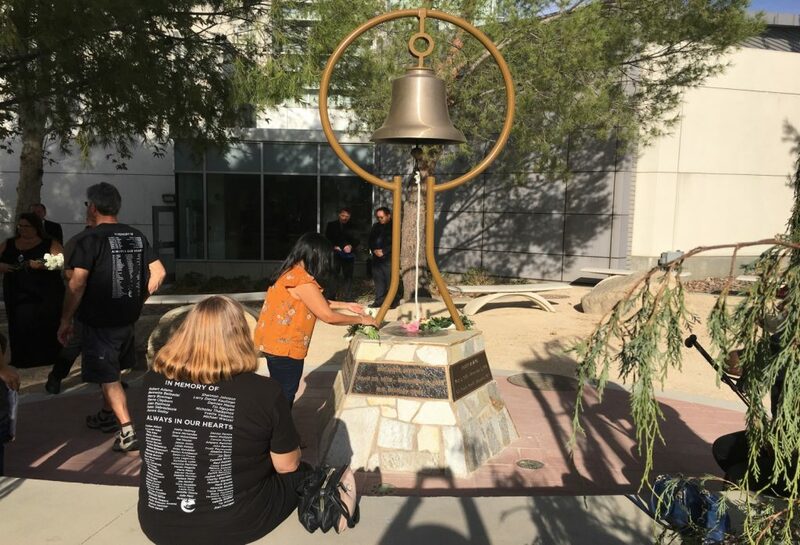 Bill Van Dyke, a CSUSB Life Sciences professor, gave a heartwarming speech at the memorial to honor the five victims from CSUSB, whose names are engraved on the five sides of the bell’s base. Victims’ loved ones, including several young children, were handed bundles of flowers to place on the bell memorial. To conclude the ceremony, Nguyen rang the bell for the last time until next year’s remembrance.